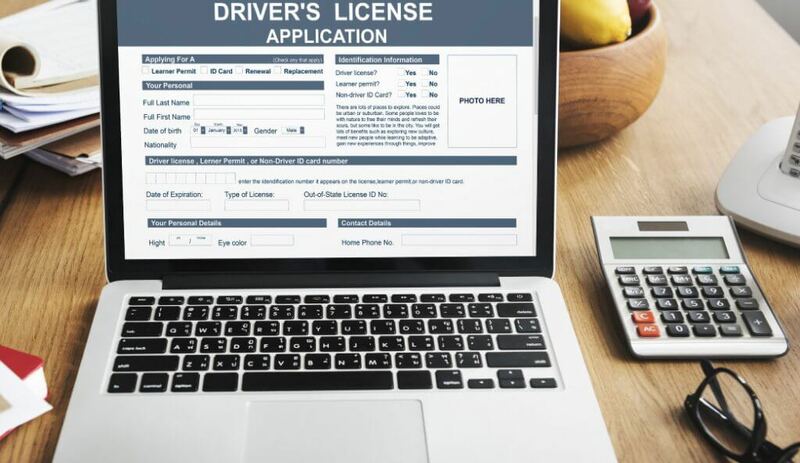 Home»Articles»Driving License»How To Skip Long Queues By Applying For A Driving License Online? It was a special birthday for Raj. He had turned 22 and his father promised him a brand-new hatchback as a gift. The condition was to get a driving license. Raj had already applied for a learner’s license and joined a driving school a month ago. Raj took to driving like fish to water. He aced his driving training and was closer to getting a driving license. “When are we going to the car showroom,” Raj asked his father, Mr. Jagdale. “You know my condition, get a driving license and we will get you the car,” said Mr. Jagdale while sipping his evening tea. “Okay, a month has passed since my learner’s license and my driving instructor said that I can apply for a driving license now,” Raj spoke with optimism. “Good. So, visit the Regional Transport Office, then stand in the queue. Fill a bunch of forms. Deal with agents if you have to. And maybe after three rounds you will get an opportunity to fill the form and submit the relevant documents.” “Okay,” acknowledged Raj. “All right, go through this process and after it is done, tell me,” said Mr. Jagdale as he finished drinking his tea. He went in the kitchen and came back after five minutes. “It’s done!” exclaimed Raj. “What’s done?” asked his confused father. “I applied for the car driving license,” Raj smiled. “How?” asked the stunned father. “I went to the RTO’s website and downloaded the driving license online form. Printed it, filled it, scanned it, and uploaded it along with the scanned copies of other documents such as my Passport. That’s it. Now, I can track this application online and check when my test is scheduled. Visit the RTO on that day, give the test and wait for my driving license to arrive. And then, we both go to the showroom and purchase the red hatchback,” said Raj explaining the process. “Wow. Advantages of an online world. Great, why didn’t this happen a few years ago,” said Mr. Jagdale remembering the days when he had to follow the tedious offline process of applying for a new driving license. Just like Raj in the above example, you can also go for a driving license form online. You can initiate the process by visiting the Sarathi website and clicking on the New Driving License option. The website will guide you regarding the simple steps to be followed. The car driving license application form is divided into the following five parts and supporting documents have to submitted along with it. This part deals with your personal information such as name, age, address, etc. These details are needed as a driving license is also a proof of identity. Here, you will have to fill details regarding the type of vehicle you will be driving. There are 19 vehicle types one can choose from. Documents substantiating the information provided by you in the earlier parts need to be provided in this section. Official government authorized documents such as scanned copy of a Passport can be submitted. Declarations such as a medical certificate needs to be submitted in Part D.
Part E is applicable for applicants in the age bracket of 16 to 18. Parent’s signature is essential in this case. A driving license is a government-issued document and the information written on it is considered to be reliable. Make sure to declare accurate information while filling in the details and submit scanned copies of authentic documents.